If you've ever wondered how you, too, can get an awesome accent, look no further! At Escapist Expo 2013 this weekend, your favorite Brits from around the internet will be gathering to speak on the subject of expatriation. Why would you leave the lovely, sunshiny UK, you ask? We don't know, but they do! Join Ben "Yahtzee" Croshaw, Jim "Thank God For Me" Sterling, and John "TotalBiscuit" Bain as they discuss tea, biscuits, and the Queen. They might even venture to speak about games here and there. The sun never sets, or so I'm told, but they're bleeding internet personalities like a hemmorrhagic pin cushion. Find out why on Saturday at 1:30pm, only at Expo! Why do so many British people leave the United Kingdom, emigrating to former colonies of the empire? And why do so many of them end up working in games media and/or for The Escapist? We have three such gentlemen on hand here at the Expo, and they were happy enough to agree to sit down with each other and discuss tea, biscuits, and the Queen. Or, perhaps, games. 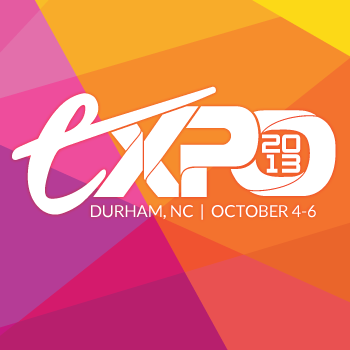 We're excited to see you all at Expo 2013 this weekend!